When genuine Western hospitality, unbridled adventure and a truly inspiring landscape come together, the result is an experience you’ll never forget. Named the #1 Resort Hotel in the U.S. in Travel + Leisure‘s World’s Best Awards and set on a 30,000-acre working cattle ranch in south central Wyoming, Brush Creek Ranch offers an all-inclusive adventure in its ultra-private collection of historic guest ranches, nestled between the Sierra Madre Mountain range and stunning Medicine Bow National Forest. Brush Creek Ranch is exclusively designed for discerning travellers, ambitious adventurers, corporate group retreats, family ranch vacations and destination weddings. Absolute Must-Do Take in the stunning Brush Creek landscape on an authentic cattle drive. It’s like a Western movie come to life! The beauty of Brush Creek is the way it perfectly blends two seemingly competing ideas: the wild, natural and rugged feeling of being on the plains and the incredible comfort and luxury of the ranch. Commercial flights fly into Denver International Airport (DIA) and Laramie Airport (LAR). Private/charter aircraft access is available into Shively Field Saratoga Airport (SAA). Brush Creek Ranch also has a partnership with Mountain Aviation, an FAA certified aircraft operator, which offers you convenient private flight options from the Denver metro area airports direct to Saratoga airport. With 30,000 acres of pristine Wyoming wilderness, the variety of adventures at Brush Creek Ranch is as endless as the wide-open skies – and the level of luxury is second to none. In addition to the upgrades listed above, when you book with B&R you’ll have access to our talented team of Travel Advisors and Trip Designers who can help you coordinate, plan, build upon or expand your trip into an even grander journey. 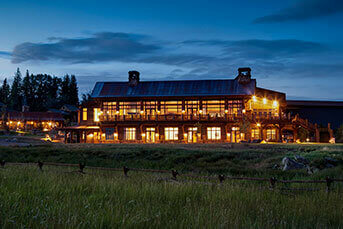 Brush Creek offers a varied collection of well-appointed accommodations for groups of up to 150 guests. 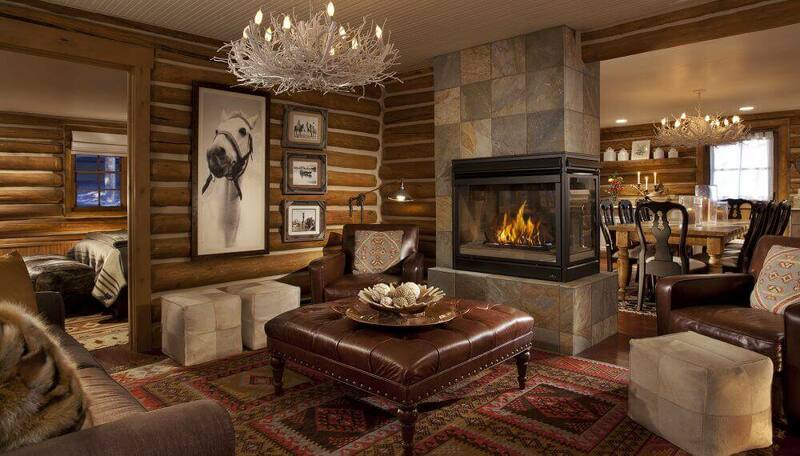 With a total of 41 units, their Wyoming lodging options include 10 elegant two- and three-bedroom Log Cabin Residences, 13 spacious Trailhead Lodge Rooms, and nine fully refurbished Cabin Suites. The crown jewel of Brush Creek Ranch, Trailhead Lodge is a premier destination for lodging in Wyoming and a top choice in luxury glamping. 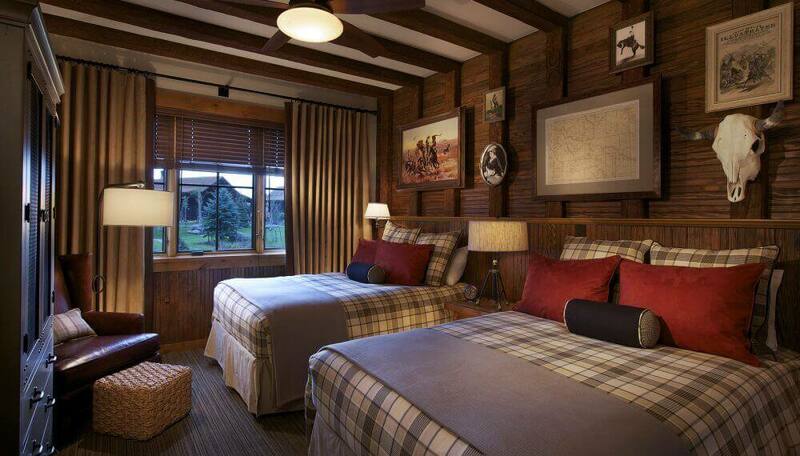 Painstakingly restored and lovingly outfitted Wyoming cabins with luxurious amenities and dazzling Western decor provide an unforgettable experience. Nine magnificent Wyoming cabins dot the landscape at Brush Creek Ranch, boasting restored facades that recall their charming 19thC origins. Cabin Residences include: Two- to Three-Bedroom Configurations; Full Kitchens with Dining Areas; Spacious Living Areas; Potbelly Stoves or Fireplaces; Washers/Dryers; Two Bathrooms with Tub/Shower Combos; 400 Thread Count Sheets; Plush Robes; Hairdryers & Toiletry Products; Expansive landscape and Mountain Views; Distinct, Remote Locations; Decks & porches with Leisure Furniture; Grocery Stocking Services; Daily Housekeeping; Western Artwork and Furnishings. Note that all cabin residences come assigned with complimentary golf carts for moving around the property. Nestled in one of Montana’s most pristine valleys, The Ranch at Rock Creek offers an authentic 19thC homestead that perfectly balances Western adventure with lavish amenities. 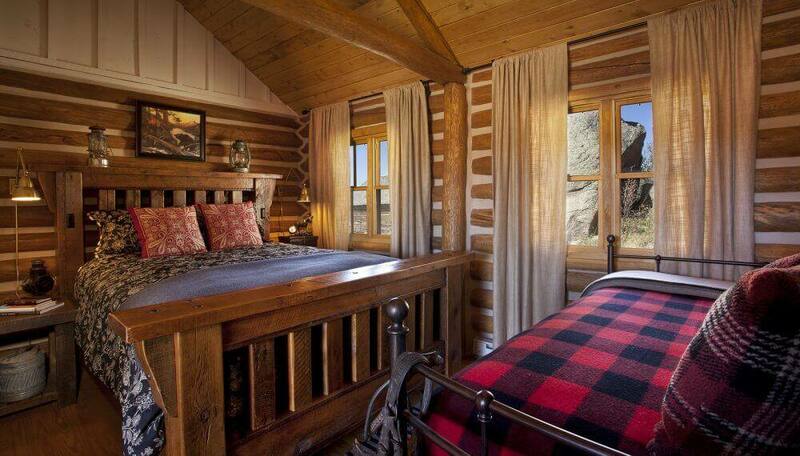 Set amidst the soaring peaks and sprawling valleys of the San Juan mountains, luxuriate in Dunton's 13 luxury log cabins and soothe yourself in its famous hot springs. Set within BC's Great Bear Rainforest and surrounded by pristine waterfalls, 10,000-year-old glaciers and snow-capped mountains that soar through the clouds, Nimmo Bay is a natural paradise. Looking to extend your adventure? Discover a few other incredible journeys through some of North America’s most picturesque playgrounds.